Enjoy Alison Faulkner’s top tips on making your party go with a swing – while sticking to a modest budget! A wedding is one of the most important events for many people, and everything must be perfect. 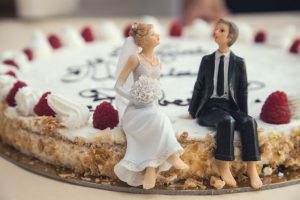 Finding the right people to help you with the different aspects of the wedding can be tough, but if you know how to do it, you will have an easier time. One thing that many people take time over choosing is the caterer. The food that the guests will eat can determine the mood of the wedding and is one of the aspects that guests will remember years down the line. 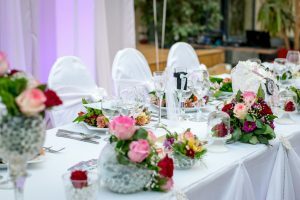 Finding the right caterer for your wedding can seem fraught with difficulty, but the tips below are a good starting point to help you find the right hospitality staff for your wedding reception. This is the perfect place to start because you are getting referrals from friends, family, or even workmates. This means you will be able to find out more about caterer from a person who has had an experience of working with them. Look for recommendations online and get as many options as you can. You will then start to narrow them down until you get to a shortlist. This is the first and the most important thing you need to look at; the caterer must be available on the date of the wedding. The best time to start searching and meeting caterers is at least nine months before the wedding. There are some venues that usually have a list of preferred suppliers, including caterers, so once you have decided on the date and picked the location, it is the perfect time to start thinking about the food. There’s no question about it, weddings can be expensive. It is always important that you get the early indication of the costs of catering and what is included. Inquire about the different options available. It is a good idea to tell your caterer before starting if you are on a budget. A caterer will be able to provide you with a package that suits you within the budget you have set. Make sure you know what is or isn’t included in the pricing because this usually varies from one company to another. Be sure to confirm the process to follow when booking and paying. Find out what dates payments will be required – and how much they will be. Find out also about latest cancellation dates in case something disastrous should happen. One thing you don’t need is a sudden shock or an expected bill before your wedding. Another thing you have to remember to check is whether VAT is included in the quote – overlooking this can mean you going out of your budget. Different caterers may or may not include the linen hire and tableware on the quotes they give. Make sure you clarify all the details, to ensure you do not incur any additional costs you had not included in your planning. One way to ensure that the food they offer is high quality is looking at their facilities and the team. Depending on whether the food is to be served buffet style or a sit-down meal will affect what types of waiters, waitresses and chefs are required to serve the meal. It’s good to know if they have their own permanent serving staff or if they fill their temporary waitress jobs from a specialist hospitality employment agency rather than having inexperienced or untrained staff helping out. If you’re thinking of a buffet, do they have chefs who assist with serving items like whole sides of salmon? When choosing the right caterer for your wedding, you will be looking for a stunning presentation that is paired with superb taste. To assess the presentation, the first step you need to take is to look at the portfolio of the caterers work and the pictures of their food. The company may work with chefs who specialise in particular styles of food so this may be a good opportunity to theme the menu towards a cuisine you already really enjoy. The most common way to ensure you find what you are looking for is through testing. Caterers usually offer a tasting experience; this can also be a perfect way to explore how your ideas and preferences can be worked into existing menus. This way, you will be able to come up with the perfect menu for your wedding. If you prefer a seasonal menu, the initial tasting is the time to discuss this. If there are any concerns, you should raise them at this point to ensure that the caterer can deal with them to your satisfaction. Otherwise, you will be forced to look elsewhere. Experience is not a pre-requisite, but it is very helpful. Caterers with experience have worked with different people and on a variety of weddings and other hospitality jobs. They can be very helpful in guiding you through the process and their requirements to ensure the best possible wedding breakfast for all your guests. Because there are challenges that often arise during the process, it is reassuring to know that the caterer you have chosen has the knowledge and experience to ensure that nothing interferes with the smooth and successful running of your big day. Ask about the hospitality jobs they have worked on in the recent past and look at any online reviews. Many caterers usually post the job they have done on the social media accounts or websites. Overall level of service is a critically important thing to look at. 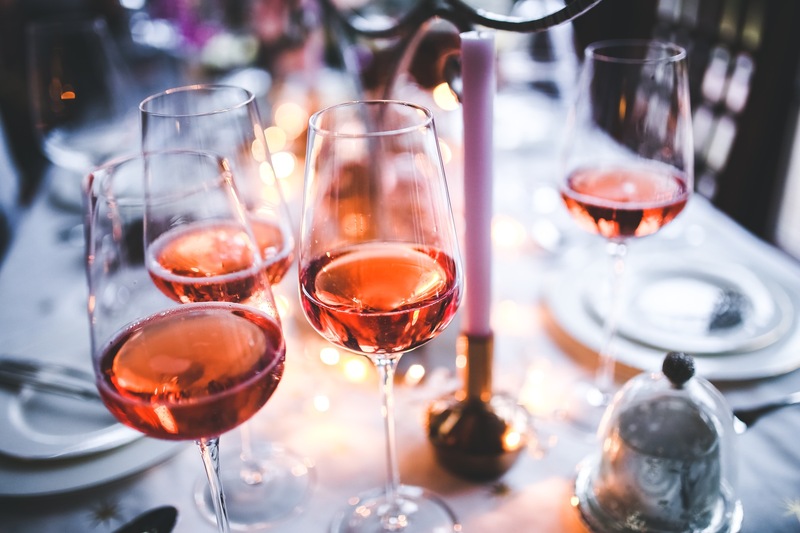 The company should provide the best possible services from the initial stages of inquiry, the tasting session and until the end of the wedding day. The best way you can tell the type of service they provide is through the initial process. If they responded to your inquiry promptly and with courtesy, professionalism and friendliness, then there is a good chance that they will continue the same way. However, you always need to trust your instincts in this area, or you will end up feeling frustrated. It is important to let the caterer know of any specific allergy or ingredients concerns you might be having before you book the appointment for a tasting. If there will be children at the wedding, you may want to arrange for a special meal for them. This will be less expensive and the kids will be often much happier. The caterer should be able to advise you on the options when it comes to people with special needs during the wedding. There are many great caterers out there ready to help you. At the end of the day there’s no substitute for interviewing several, asking them questions based on the list of points above and then picking the one who who seems best able to meet the needs of your specific wedding party and enhance your wedding day. Planning a wedding, party or an event? There are so many choices out there and the number of things you have to consider is huge.